Overhead cranes and services supplied by RGM Cranes are recognised as the gold standard for reliable and safe lifting within the Gauteng region. 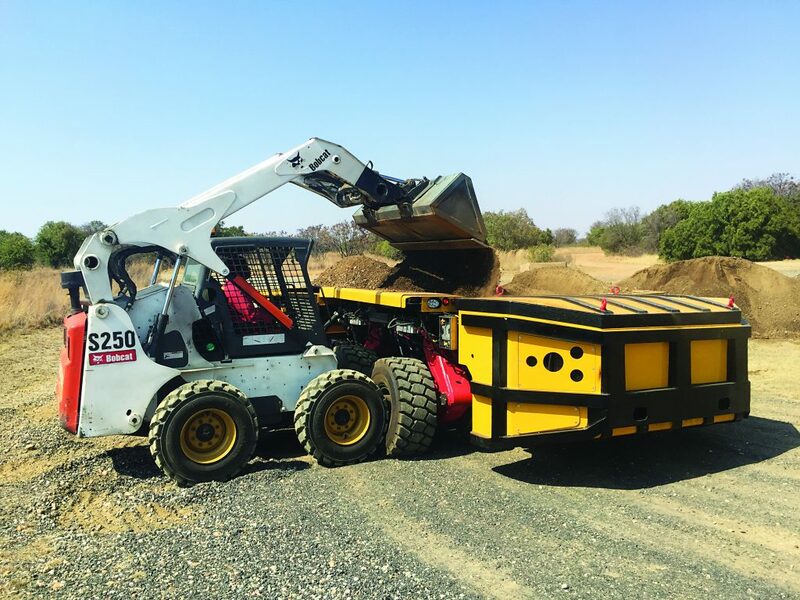 Having served the area for more than thirty years, the company remains focussed on providing its services to Africa’s largest industrial and mining hub. According to managing director, Alex Dowling, rather than dilute its focus through a national footprint, RGM Cranes chooses to service Gauteng, a region that has more cranes in a single industrial area than can be found throughout the entire City of Cape Town. This kind of focus ensures a concentration of skills and the ability to deliver professional services to its clients timeously. As a premier turnkey service provider, services range from conception, design, manufacture and installation of, as well as, repairs, maintenance, upgrades and conversions of any type of lifting equipment. The company has ISO: 9001 accreditation for quality management that governs all processes within the supply chain. “From the foundations of your new building right down to the smallest lifting point or shackle, we provide every conceivable lifting item to our clients. From the ground, up to the crane and from the crane back down to the load” says Alex. Alex continues that all fabrication is carried out at the company’s 10 000 sqm purpose-built premises according to all relevant BS and SANS specs. RGM Cranes also entered into a partnership with the Turkish based company Güralp Crane and Machine in late 2015 and has experienced tremendous success through the company’s robustly designed machinery and advanced electrical systems. Working conditions in Turkey bear many similarities with sub-Saharan Africa making it a lot simpler for the design team at Güralp to fully understand the specific requirements for overhead cranes in South Africa. Güralp introduced the GMD range of wire rope hoists into the Turkish and European market more than 10 years ago and has enjoyed success with the range of noticeably strong FEM rated hoisting units. The GMD range features maintenance-friendly design coupled with advanced electrical systems for hoist and load monitoring. The hoists boast ABM drive units from Germany that stand up to harsh lifting conditions. Cost of ownership is a critical factor in today’s economy and Güralp ticks this box emphatically with comparably affordable spare parts. The Güralp end carriage offering is one that has had an enormous impact in South Africa and around the world. From 112mm up to 630mm diameter wheels and in both single and double bogie arrangements, utilising GGG70 sphero cast wheels as a standard, these end carriage systems are among the best available in today’s market. Inverter control reduces both brake and gearbox wear and is 30% more energy efficient than conventional contactor-controlled drives. The single girder end carriages have a hinged design to counteract minor long travel rail wear or misalignment making these end carriages a very attractive option. There are important criteria involved in the purchase of an electric chain hoist and the Güralp GMD range excels in all key areas. The compact hoisting unit boasts significant headroom coupled with an attractive design. Hoisting chains are supplied by Pewag of Austria, the strongest available chain in the world today. Low voltage control keeps the operator safe together with a slipping clutch that also prevents overwind and overload.